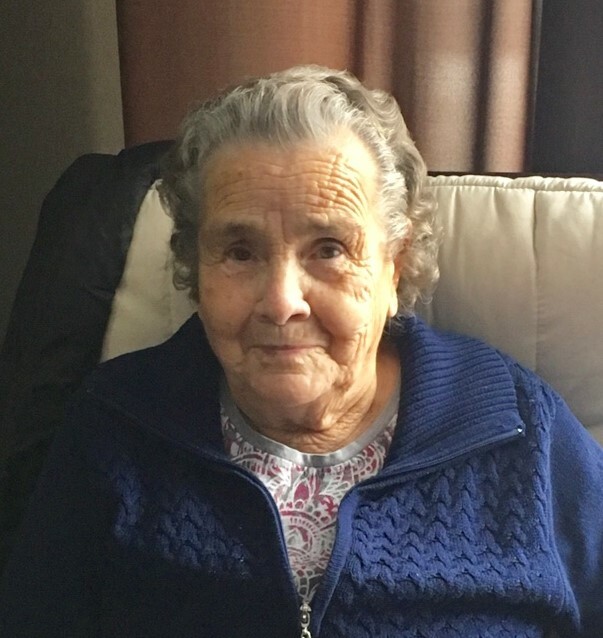 It is with great sadness, the family of Evelyn May (nee Isbister) Vandal, announce her passing on September 8th, 2018. Evelyn was born on April 17, 1928 in Prince Albert, SK to Fred Isbister and Marianne Adset. Evelyn grew up with the Isbister family near Jackson Lake, Sk. She met Ernest Vandal at an early age and soon after they were married on January 30th, 1945. They lived at Erinferry, Sk where they raised their 5 children and farmed for many years. They moved to Debden in 2011 and then eventually they both moved into Whispering Pine Place in Canwood. Ernest and Evelyn were married 71 years. Evelyn was a wonderful person, her family and friends meant everything to her. She loved to cook and feed people, she was especially known for her bannock. Everyone who knew Evelyn will remember her warm heart, her hugs and kisses. Her sister-in-laws Janet Rydde and Helen Banman, her brother-in-law Roy (Trudy) Vandal. As well as many nieces and nephews. She was predeceased by her husband Ernest Vandal in 2016, her son Archie Vandal in 1999, son-in-law Alain Beaulac, her parents Fred and Marianne Isbister, her in-laws William and Elizabeth Vandal, her sister’s Ruth(George) Nelson and Edna (Bob) Fines. A memorial mass was celebrated at the St. Jean Baptiste Roman Catholic Church in Debden, SK on September 29th, 2018 at 11:00am. with Rev. Father Michael Fahlman as celebrant. Interment took place in the Park Valley Cemetery following the luncheon.